Are you looking for a cost effective and high visibility business campaign to promote your pet care business? If yes, then your search will end at custom pet care magnets. Available in a range of delightful shapes and attractive colors, magnets will make sure that your logo will get stuck in the minds of your clients in no time. Most people keep pets as companions and the unconditional love of pets will make their masters relaxed and at ease. Studies have even shown that pets enhance the social skills of kids and can help bust stress. Pet care business has evolved to be a million dollar business in the last few decades and to stay ahead in the race, advertiser’s bank upon innovative promotional ideas and gifts like custom magnets. Imprint your logo, business message and artwork on these magnets and give these out at tradeshows or pets shows and see your brand getting a 360 degree exposure. Here are the two essential tips on how custom magnets can make your pet care business thrive. Affordable and popular among the masses: Custom magnets are cost effective and easier way to get your business message out to customers. This simple yet effective promotional gift will be a welcome addition to the advertising arsenal of any budget conscious advertiser. The popularity of fridge magnets can be explained to the popularity of refrigerator as an essential home appliance in homes and work places.It is found that people on an average open their fridge doors 50 times a day and the custom logo magnets over the door enjoy a wide exposure several times in a day! Conventional promotional gifts like flyers and news paper or online ads may not be able to generate similar views that too in a day’s time. Custom promotional magnets are well suited to promote niche markets as well. Check out this 3.12 x 3.5 Paw Shaped Bunny Care Magnets that can be used to imprint your logo and business message of your pet clinic. Bunnies make adorable pets though they are not as popular as dogs or cats. So, pet owners will surely find the details of pet clinics that cater to bunnies really useful. 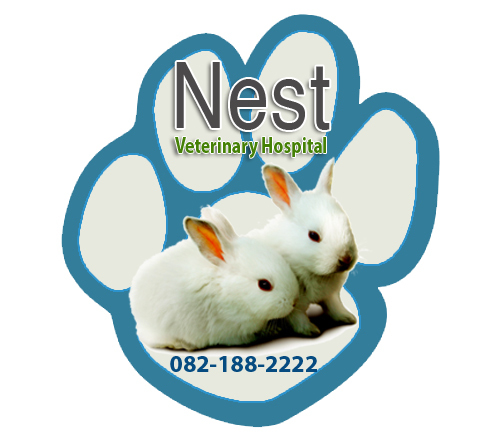 Imprint details like the pet clinic number, address or special bunny care tips to ensure a longer shelf life for these adorable paw shaped magnets. Custom logo magnets make highly prominent billboards right inside your customer’s home. When they see your logo and business message every day, it makes them get familiar with your products. These custom magnets can be used to build up brand recall, business promotion or call-to-action. Keep your custom magnet as simple as possible with just the essential information on them. Make sure to keep the information concise as too much information can make the magnets look cluttered which makes it difficult for the customers to find the information that they seek.A well-designed custom pet care magnet will not just promote your business but will help your customers find you. 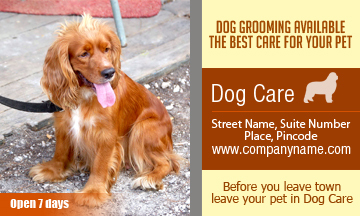 3×5 Dog Care Round Corner Magnets make good promotional gifts to promote your pet care clinics all around the year. These are ideal as tradeshow giveaways and mailer campaigns as well. The generous imprint area can be optimally utilized to put your logo and business message and the affable shape and the smooth round corner design will make these magnets delightful refrigerator art as well. Advertisers who are working in small advertising budget can further add up to their savings by ordering these magnets in bulk.